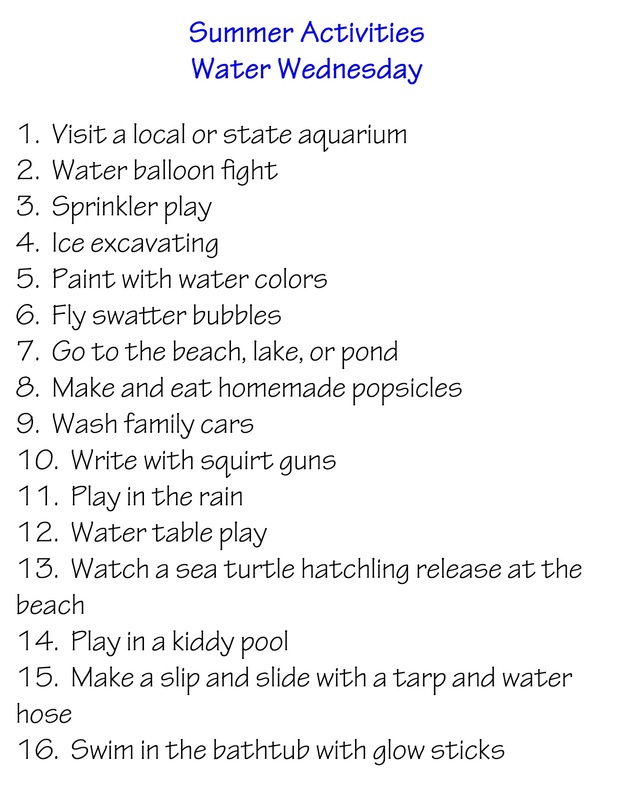 So, let's get to it, the Summer Time Schedule. 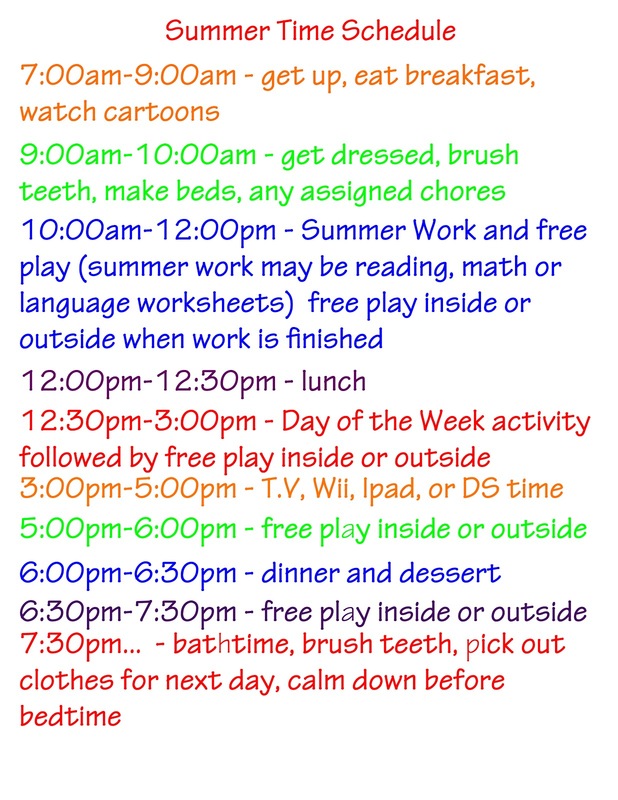 I told my kids that the schedule below was just a guide for our days. 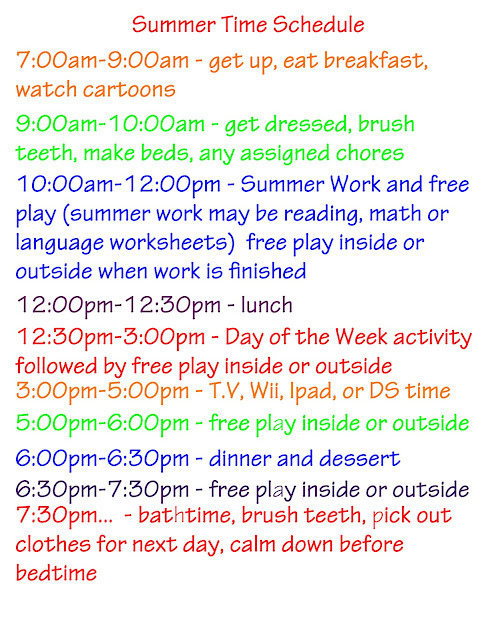 I don't want anyone thinking we can't go against the schedule (that would be my oldest). After all, it is summer! I am very aware that I have TV, Ipad, DS, Wii time listed. I know myself and my kids better than anyone, we need down time. I am not someone who pretends that I have children who never watch TV, lets get real here. 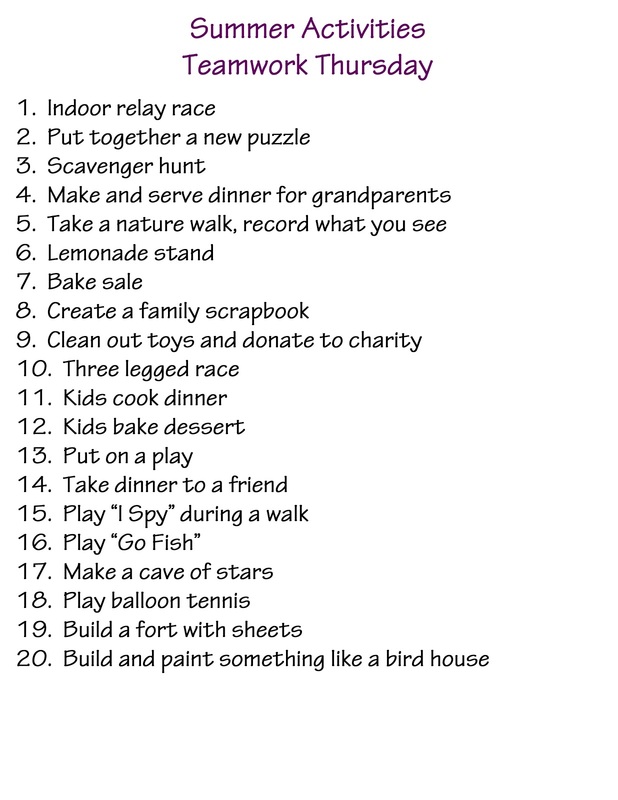 Moving onto Day of the Week activities. I am very fortunate to have two amazing bloggers in my life. My cousin, Jessica (The Almost Perfectionist) and my very good friend, Audra (A Cup of Daisies). 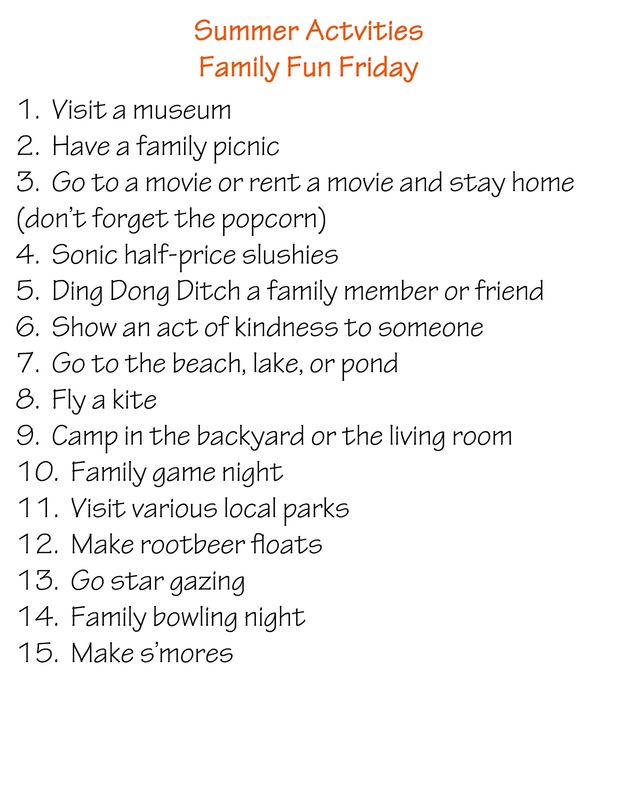 Jessica created a list of 100 summer activities last year that I still refer to often. Audra showed me how she created themes for each day of the week. Both blogs are wonderful and I encourage you to add them to your reading list. 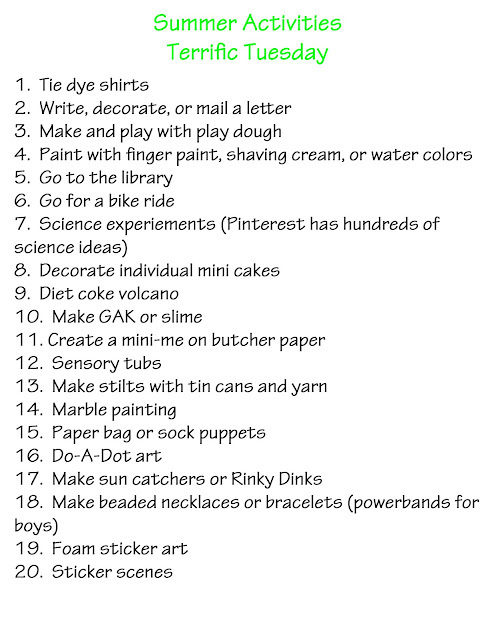 Here are some ideas for each day of the week. I try to always think of cost effective activities. I have also printed a great reading incentive idea from How Does She. 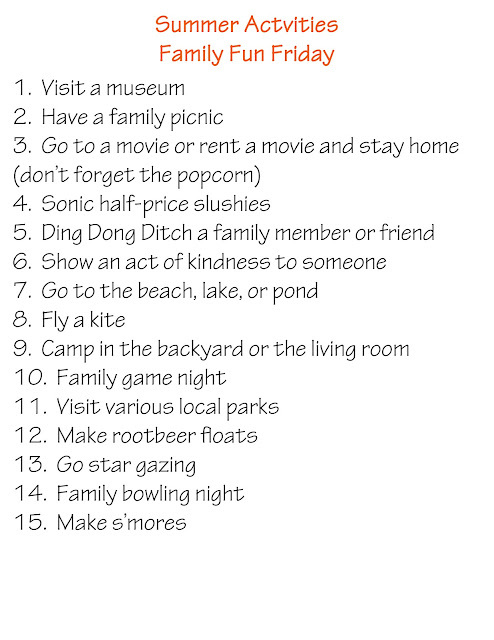 The idea uses a bingo card and coupons that kids can redeem. I used it this morning with all three of my kids and they really liked it. I encourage you to take a look and sign up for her free printables. 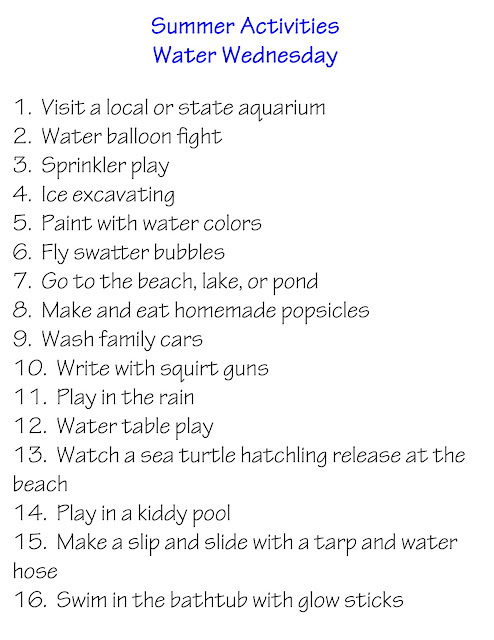 The kids have karate, ballet, swim lessons and other activities through out the summer. I know we will not be able to implement our schedule or activities every day. 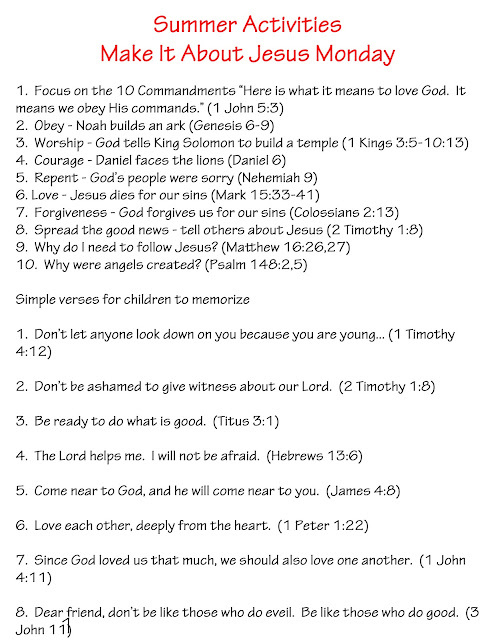 However, this gives us structure and fun. I can't ask for more! Laundry Suggestions...Please, I am Begging You!